Imran Khan showed positive gesture towards name of Manzoor Afridi. According to chairman statement, designated caretaker CM of KP should try best to make the transparent elections. The family of business persons and title of non-political figure makes him ideal among the KP political corridors. The KP government is known as balance party to select caretaker chief minister. The previous chief minister in 2013 and opposition was also agreed upon the name of interim chief minister. Akram Khan Durrani and Amir Haider hoti (CM of KP) has agreed for interim chief minister name as Justice (retd) Tariq Pervez. 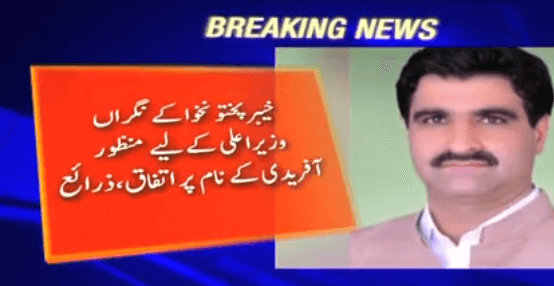 So it is confirmed now after official statement that Manzoor Afridi to become interim CM of KP. The man who serves the society for long under the supreme court and Justice Peshawar high court. This time, KP got first position in selecting Manzoor Afridi To become a caretaker Chief Minister Of Khyber Pakhtunkhwa. Most of the people from Pakistan are appreciating the move because it is all about the leading from front.